Join our professional team of yogis for a 14 day seasonal food cleanse designed to align your physical and energetic bodies as the weather and season changes. You will learn how to detoxify and heal the body through the use of local, organic, sustainable food and use our yoga practice to further eliminate toxins and boost your immune system. This is the ultimate “foodie” cleanse! No starving here, just wholesome clean foods that will make you feel better than ever! We hope that after participating in the 14 day cleanse, you will attain the knowledge that will guide you toward long term healthier practices and an enhanced life! A detailed description of the cleanse. Expert advice on how to succeed and get the most out of the cleanse. 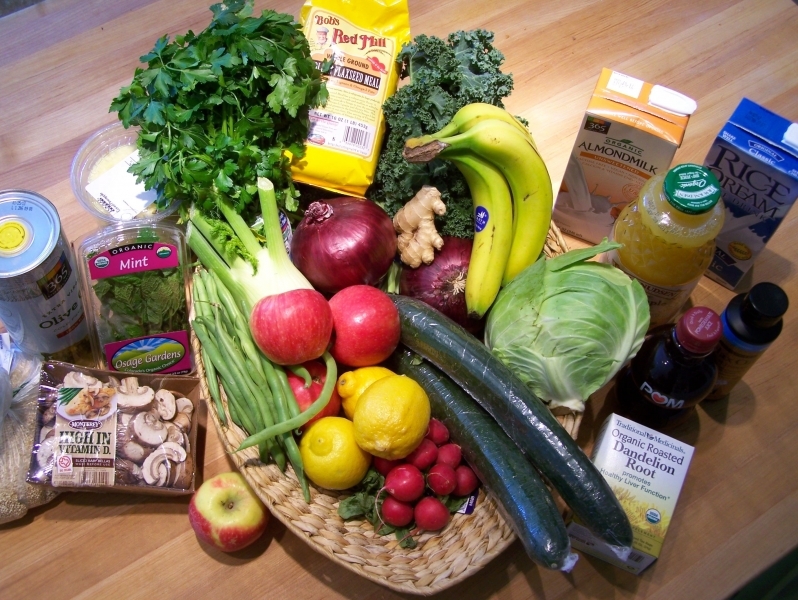 Ton’s of information on organic food, vegan food, raw food, processed foods, etc. Or Email Nicole Doherty here.